"Lickin Creek, Pennsylvania, is light-years from New York City, where Tori Miracle earned her first fifteen minutes of fame as a novelist. Now Tori and her two cats have come to Lickin Creek to visit her friend Alice-Ann - and to attend the town's annual Rose Rent festival honoring Alice-Ann's obnoxious husband, Richard. 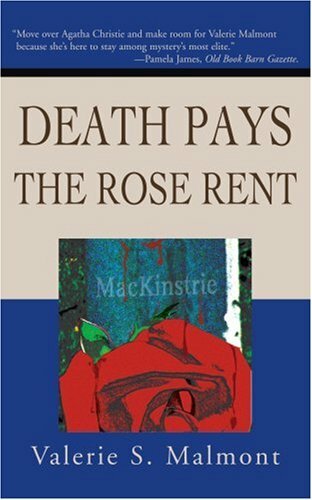 Generations earlier, Richard's ancestor, worried about the state of his soul, allowed churches to build on his land in exchange for one red rose as rent. Now the town has made it an annual celebration. But Alice-Ann is celebrating something else: She's about to divorce Richard - until Richard turns up dead, his body adorned by a single red rose." I enjoyed this one and will read more. I hope that whoever takes this book at the meet-up will enjoy it.